modelo COLOR DOPPLER de alta resolução. Uma escolha optimizada com Qualidade PREMIUM disponibilizando todos os recursos e avanços tecnológicos ao médico veterinário ecografista. Assistência Técnica Qualificada. 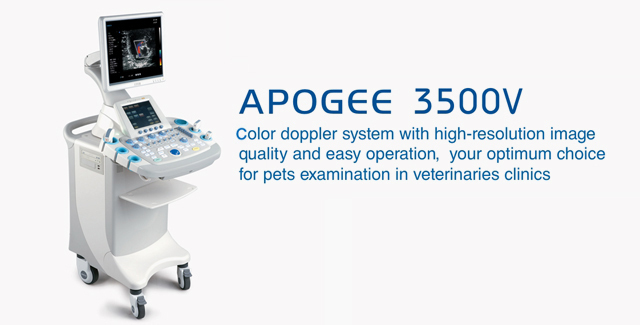 Touch screen control: By operating the color touch screen, veterinaries can fully understand the current operation flow at a glance and achieve their exams quickly. Thumbnail View: the thumbnails of the currently saved diagnostic images are retained at the bottom of the screen, which can be recalled for comparison and analysis any time. High-frequency probes: The frequency up to 14 MHz can meet all the different applications. Trapezoidal Imaging: The extended field view displays more image information without sacrificing image quality.